The deadline for application was October 23. Thanks for your interest. 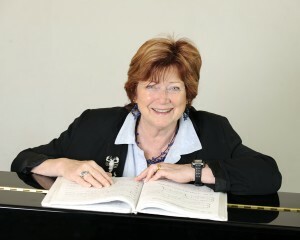 Mary Hammond, Sondheim Professor of Musical Theatre Voice at the Royal Academy of Music, presents a realistic approach to ways in which singing teaching can help singers of all genres of contemporary music. Soprano Sarah Leonard, Baritone Stephen Varcoe and Pianist Nigel Foster will be presenting songs from the last three volumes of A Century of English Song published by Music Sales under the Thames Imprint. This Lecture-recital will celebrate the Centenary of the Association of English Singers and Speakers (AESS), who are sponsoring this publication, and with whom we share reciprocal membership. World leading operatic tenor, Dennis O’Neill CBE, presents an advanced Master Class working with students from the Guildhall School of Music & Drama. ‘The founder of the renowned post-graduate Musical Theatre course at London’s Royal Academy of Music, and an experienced teacher and singer herself as well as a vocal coach and consultant to numerous companies and groups, Hammond knows the field inside out’ whatsonstage.com. Following her training at the Royal Academy of Music in both singing and piano, Mary Hammond spent 25 years as a singer with an almost unique range of styles, from opera at Covent Garden to stadium gigs with groups including Black Sabbath, Pink Floyd and Roxy Music. She also worked extensively for TV and radio (film scores, TV series, live broadcasts, BBC Big Band, Top of the Pops, jingles etc). Mary has worked on 28 shows as vocal consultant, among them this year are Thriller, London Road, La Cage aux Folles, Billy Elliot, ThePhantom of the Opera and Charlie and the Chocolate Factory. She has a continuing interest in pop and rock music and during the past year has worked with Coldplay, Klaxons, Arcade Fire, Vanessa White from the Saturdays, Kimberly Walsh, Tom Odell and Eliza Doolittle, amongst many others. Television companies and record producers frequently use her as a vocal trouble­ shooter and singing consultant. This variety of work has led to an understanding of constantly shifting musical needs and a lifelong interest in the research and practice of voice science and its relevance to vocal technique. TV includes: Good Morning, Channel 2 Tone Deafness, Story of Kimberly – Girls Aloud, South Bank Show – Katherine Jenkins, Story of Matt Monro, H side Story etc. 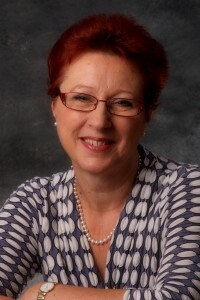 Mary is an active member of the British Voice Association, and has organised and helped to run several voice conferences. She is also on the board of the Actors’ Centre. Sarah Leonard is one of Britain’s most versatile sopranos. She studied at the Guildhall School of Music and Drama, London and has a wide repertoire with a particular interest in contemporary music. She has appeared throughout the world in major concert halls, opera houses and festivals and has worked closely with many leading composers including Birtwistle, Boulez, Dusapin, Ferneyhough, Harle, Harvey, Huber, Lachenmann, Ligeti, Joanna Lee, Nyman and Sciarrino and premiered numerous works. Her 30-plus recordings include a recital series of English Song with Malcolm Martineau, works by Varèse with Chailly and the Concertgebouw Orchestra and Ligeti’s Aventures, Nouvelle Aventures with the Schoenberg Ensemble. She recorded a new song cycle by Joe Cutler, In Praise of Dreams, with Stephen Gutman, piano, for NMC, and releases shortly Throat by John Purser, for voice, carnyx and percussion with John Kenny and Joby Burgess. Recent concerts include the UK premiere of Got Lost a major new song cycle written for her and the pianist Rolf Hind, by Helmut Lachenmann, at the Aldeburgh Festival, Elliott Carter’s A mirror on which to dwell with the Northern Sinfonia at The Sage, Gateshead, Edward Lear settings by Alistair Borthwick with the Hull Sinfonia, Britten’s Cantata Academic At St. David’s Hall, Cardiff and Rossini’s Petite Messe Solenelle with Ealing Choral Society. Sarah has given many song recitals throughout the UK, including several in the BMIC’s Cutting Edge series, many at the Poole Lighthouse Centre for the Arts with Stephen, and at Benslow’s Summer Music Festivals. In January 2013 Hull University awarded her a Degree of Doctor of Music, honoris causa for her services to music. Sarah is a committee member of AOTOS and the AESS, and a member of the BVA. She teaches on the Musical Theatre course at Royal Central School of Speech and Drama, at Hull University, and at her studio in London. She also gives occasional English Song classes at Trinity College of Music and The City Lit. Nigel’s love of the song repertoire, and in particular English song, leads to a busy schedule performing on the concert platform. He has played for artists including Ian Partridge, Neil Jenkins, Stephen Varcoe, Jane Manning and violinist Madeleine Mitchell, as well as many of Britain’s leading young singers. He performs at major venues including the Wigmore Hall, South Bank Centre and St. John’s, Smith Square in London, and St David’s Hall in Cardiff. In his formative years Nigel played for Graham Johnson’s Songmakers Almanac, the Park Lane Group, several opera companies including Glyndebourne, and masterclasses for Sherrill Milnes, Nelly Miricioiu, Tom Krause, Thomas Hampson, Sarah Walker, Stuart Burrows and Ileana Cotrubas. He has particularly happy memories of his time as a rehearsal pianist for the late Sir Georg Solti, playing for singers including Renée Fleming, Angela Gheorgiu and Roberto Alagna. Nigel works closely with Sarah Walker in the Vocal Department at the Guildhall School of Music and Drama. 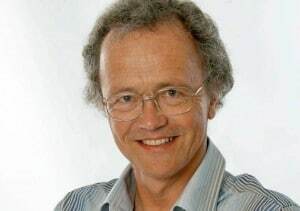 In addition to Strings in the Earth and Air , Nigel’s CD recordings include several discs of contemporary music and anthologies of songs of Alun Hoddinott and Mansel Thomas with baritone Jeremy Huw Williams for the Sain label; collections of English song with Stephen Varcoe and Georgina Colwell; and songs from Latin America with soprano Marina Tafur for the Lontano label. He features on the soundtrack of the French film L’Homme est une Femme comme les Autres. Nigel performs extensively abroad, having played in France, Germany, Spain, Portugal, Greece, Ireland, The Netherlands, USA, Canada, South America, Japan and Malaysia among other countries. His association with OperaPlus leads to regular playing and coaching in Belgium where he enjoys indulging in the local chocolates. He has radio and television credits in both Britain and continental Europe. Dennis O’Neill CBE is one of the world’s leading tenors. He has appeared for the major companies of the world, specialising in Romantic Italian repertoire and Verdi in particular. In 2005 he was awarded the Verdi Medal by the Amici di Verdi in recognition of his work. 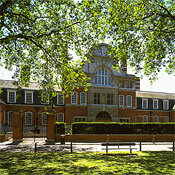 His long relationship with the Royal Opera, Covent Garden covers over two hundred performances. 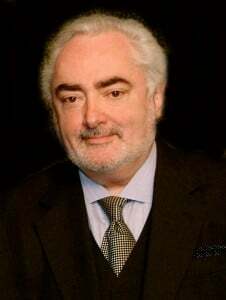 For the Met, he has appeared in La Traviata, La Boheme, Aida, Rigoletto, Cavalleria Rusticana, and Pagliacci. As a frequent guest at the Bavarian State Opera, he has appeared in Balla in Maschera, Il Trovatore , Der Rosenkavalier, Tosca, Lucia, Boccanegra, Aida and as Otello conducted by Zubin Mehta. He has appeared with the Vienna State Opera in Boheme, Butterfly, Turandot, Traviata, Balla in Maschera, and Il Trovatore. Dennis O’Neill was appointed Commander of the British Empire by the Her Majesty the Queen for services to Opera and many other acknowledgements include the prestigious Honorary Membership of the Royal Academy of Music and the Order of St John. He is deeply involved with the training of young singers, giving master classes around the world, and this year will travel to the Netherlands, Australia, New Zealand, Russia, Japan , Spain , France and Italy. He is a visiting professor at several institutions including the Royal Academy of Music and Royal College of Music. He is a frequent juror at several International Competitions, and is Director and Found er of the Wales International Academy of Voice based at the University of Wale s in Cardiff.